Valspar® is a Sherwin-Williams brand and has been in the paints, stains and coatings business for over 200 years, helping to colour and protect homes, inside and out. 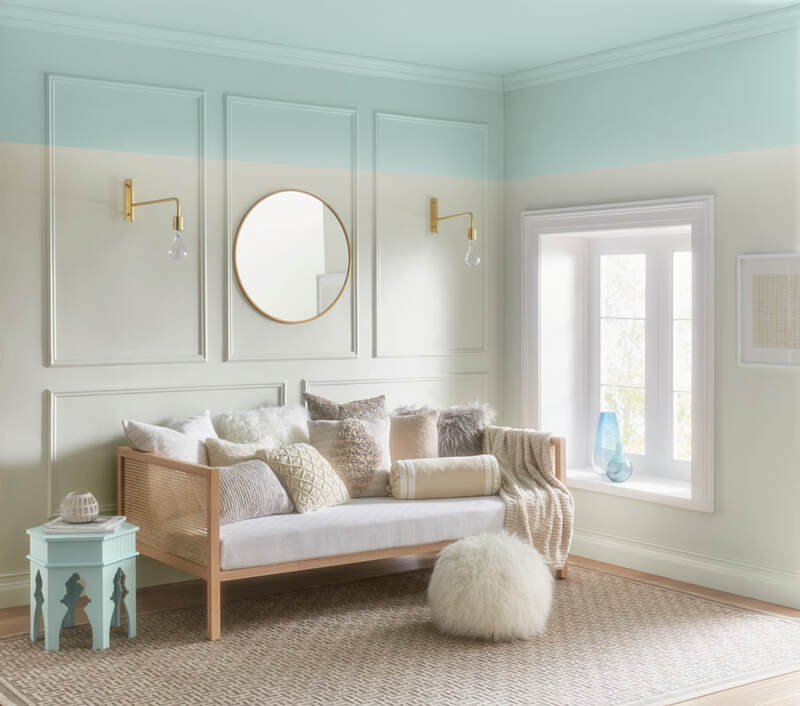 Available at B&Q, Valspar’s state-of-the-art colour matching technology can scan, match and mix any colour the eye can see (that’s 2.2 million shades!). Valspar’s wide range of high quality interior and exterior paints provide optimum coverage on multiple surfaces including walls, ceilings, wood, metal and masonry, requiring fewer coats than our leading competitors. Thanks to their low viscosity formulation, our paints are easy to apply, odour-free and touch dry in just one hour, helping to make your project as efficient and stress-free as possible. Valspar Paint is designed to withstand everything your daily life (and kids) might throw at it. Wipeable, scrubbable, and never fading, Valspar offer the best quality, most durable paint at every price point. Valspar® Premium Blend v700™ Walls & Ceilings is the brand’s most scrubbable and stain-resistant emulsions for an exceptional finish in half the time. With long-term performance you can rely on, your colour will stay true for years to come. The Premium Blend V700™ range is RRP £28 for 2.5L, available from B&Q stores nationwide.